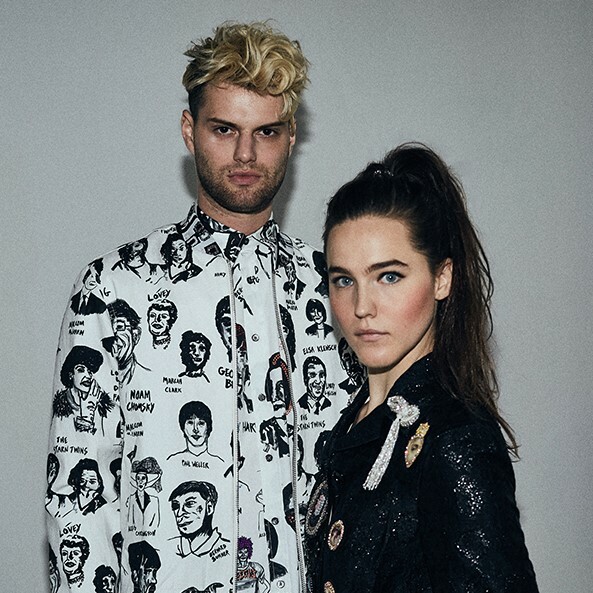 German born Sophie Hawley-Weld and US born Tucker Halpern make up the dynamic duo known as Sofi Tukker that is based presently based out of New York and signed to the Ultra Music independent record label. Just recently, the Music Television sister site, MusicLoad, featured the latest Sofi Tukker music video to their song titled Johny, directed by Bekka Gunther (aka BEX), who also happened to shoot the above photograph. Watch the video, Johny, at this link here. Just below we are featuring two more videos from a previous Sofi Tukker EP titled Soft Animals, the first is for their song titled Drinkee. Press the play button for the first video below, choose high-res & full screen and you'll be able sit back and enjoy both music videos automatically followed by several hours of handpicked music videos from different artists to explore. Press forward to skip any video or click the rewind button to replay or return to previous songs. Enjoy! Click here for Sofi Tukkers tour schedule.